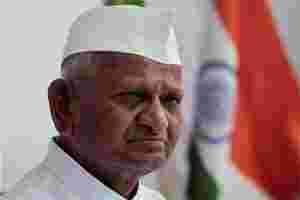 New Delhi: A parliamentary panel rejected most of anti-graft campaigner Anna Hazare’s demands, including that of bringing the Central Bureau of Investigation (CBI) and Group C government employees under the ambit of the Lokpal Bill. The panel also referred a decision to include the Prime Minister under the Lokpal law to Parliament. After the report was tabled in the Rajya Sabha, Hazare accused the government of “fooling the people" and questioned the credibility of the parliamentary panel headed by Congress party leader Abhishek Manu Singhvi. The panel examined various proposals over two-and-a-half months for setting up a Lokpal, or anti-graft ombudsman, with constitutional status. The parliamentary panel report, which is not binding on the government, had three suggestions on bringing the Prime Minister under the Lokpal—one of the most contentious issues between the government and the activists led by Hazare. “The Prime Minister should be altogether excluded, without exception and without qualification", or “the Prime Minister should be fully included with no exclusionary caveats, but he should be liable to action or prosecution only after demitting office", or “the Prime Minister should be included with subject matter exclusions like national security, foreign affairs, atomic energy and space", the report said. Singhvi later told reporters that to make the final decision “extra fair", they had “left it to wisdom of Parliament". However, the report advocates the inclusion of chief ministers under the respective Lokayuktas, but dismissed the demand for bringing the conduct of parliamentarians and judiciary under the Lokpal. Hazare also objected to the standing committee’s recommendation to keep members of Parliaments’ conduct inside Parliament out of the ombudsman’s ambit, asking, “Why are they scared? Even a schoolboy would know that it is a trick," he said. Hazare’s colleagues in Delhi also attacked the credibility of the report. “The standing committee had 30 members. Two never attended. Sixteen dissented. So this report is supported by a balance of 12. Seven are from Congress, Lalu Prasad Yadav, Amar Singh, and the rest are from Mayawati’s BSP (Bahujan Samaj Party). So much for the credibility of this report," said Arvind Kejriwal, one of the anti-corruption campaign’s key leaders. “This report takes our anti-corruption systems two steps back. We must oppose this report tooth and nail." Political analyst B.G. Verghese said the standing committee report included all shades of opinion, referring to the panel seeking recommendations from voluntary groups and influential people. “The aim is to have a reasonable Bill and to enact it. If there are loopholes, they can be amended later. A perfect Bill is difficult to get," Verghese said, adding that he found the recommendations of the report “broadly acceptable". He dismissed Hazare’s threat to fast again as “emotional blackmail" and said “comparing Anna’s fast with that of Gandhiji is totally wrong". Parliamentary affairs minister Pawan Kumar Bansal said Hazare and his team “should all wait for a decision in Parliament. People can give their views and Parliament takes the decision". The opposition Bharatiya Janata Party (BJP) also criticized the parliamentary panel. “There seems to be an attempt to make the report so complicated that passage of the Bill becomes difficult. I feel this is the intention behind some of the proposals in the report," senior BJP leader Arun Jaitley said. He said the BJP will stick to its notes of dissent both inside and outside Parliament. The party is opposed to the complete exclusion of the Prime Minister. On the issue of selection of the Lokpal, the report suggested that the ombudsman could be selected by a panel of five people, including the Prime Minister, the leader of the opposition in the Lok Sabha, the Chief Justice of India, the speaker of the Lok Sabha and an eminent person to be selected by the Comptroller and Auditor General of India, the chief election commissioner and head of the Union Public Service Commission. The committee also rejected Hazare’s demand to bring the judiciary under the purview of the Lokpal. 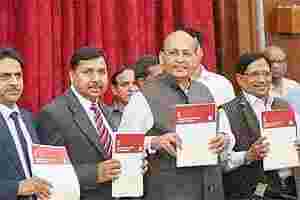 Singhvi said the committee has recommended that Group C employees be covered by the Central Vigilance Commission for the first time. The report cited the huge number of Group C government employees as the reason for excluding them so that the Lokpal can focus on corruption of a higher magnitude.